Your first impression upon entering Canterbury Gardens will be one of inspiration. You are standing in the midst of a spacious and stunning three storey space filled with gardens and natural light. Welcome to "Next Generation" retirement living. Take a stroll in our unique 6300 sq. ft. indoor Atrium park and enjoy every day the way it was meant to be enjoyed. Friends engage in conversation indoors amidst live trees, a bistro, and all the comforts of home. No matter the season or what the weather brings, you will feel comfortable, relaxed, and be surrounded by friends, family, and attentive staff. Located in the popular west end of Peterborough, Canterbury Gardens is situated in one of the city’s most desirable areas. Shopping, dining, the community college, Kawartha Golf & Country Club, and the new regional hospital are all just minutes away. Canterbury Gardens’ tastefully decorated interior boasts many comfortable and unique lounges and amenities, one of which is sure to suit your tastes. The Fireside Lounge is a great place to meet family and friends before a meal. Enjoy some fresh air on one of the sun-filled patios or in the garden gazebo. Curl up with a good book in the Tudor Pub & Library. Enjoy a movie in our in-house theatre. Treat yourself at the on-site Beauty Salon and enjoy a manicure. Enhance your fitness in our salt-water aquafit pool. Take part in the many activities or enjoy your own individual interests. 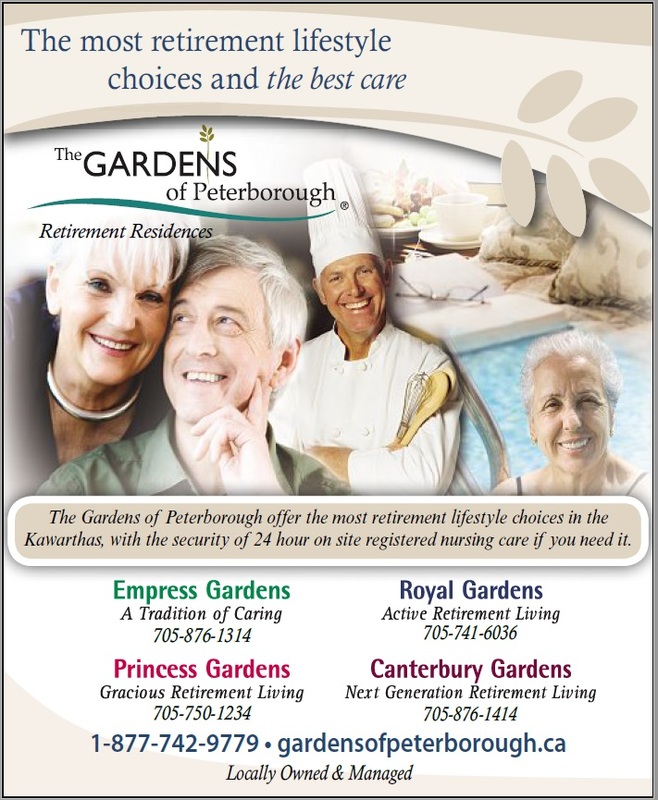 At Canterbury Gardens, you decide how to spend your day. Our full-time Activity Director plans activities to complement your current interests and to help you discover new ones. For intellectual stimulation, we host workshops and seminars by guest speakers on a variety of topics. Concerts, movie nights, and live entertainment are all common events. We have regular excursions to exciting destinations. Spiritual services are held in our on-site chapel and we offer transportation to local churches. 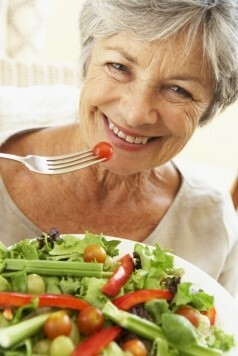 We believe in promoting your wellness and independence. That is why Canterbury Gardens is pleased to offer a state of the art fitness centre and an innovative indoor salt-water aquafit pool. As a resident of Canterbury Gardens you will have a variety of options to keep you fit and active. Our pool provides a safe exercise experience. The warm salt-water soothes your skin and the buoyancy of the water provides the perfect environment for safe exercise. Regardless of your age, fitness level, or whether you are looking for rehabilitation or just to get some safe and effective exercise, the aquafit pool and fitness programs at Canterbury Gardens are for you! Thank you for your interest in Canterbury Gardens. We look forward to showing you around our lovely community to give you an inside glimpse of the lifestyle that awaits you here. Please Contact Us if you would like further information. 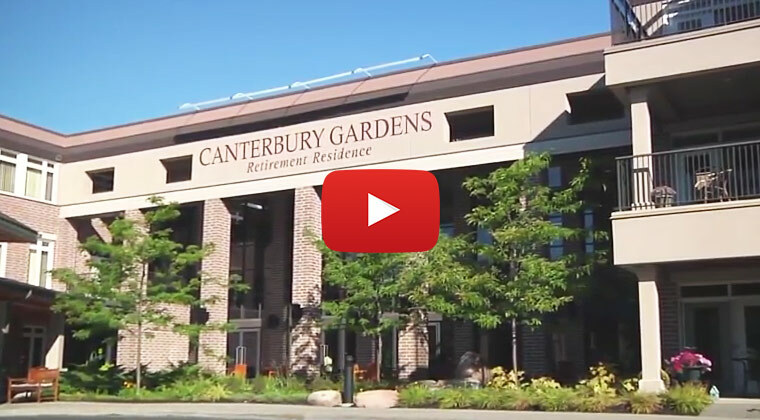 Click the image below to watch a virtual tour of Canterbury Gardens.